A black hole four million times as massive as our Sun lurks at the center of the Milky Way. This black hole, called Sagittarius A* (Sgr A*), swallows nearby material that glows brightly as it approaches the event horizon. This galactic furnace is key to understanding black holes, but our view of it is obscured by lumpy clouds of electrons throughout the Galaxy. These clouds stretch, blur, and crinkle the image of Sgr A*, making it appear as though the black hole is blocked by an enormous sheet of frosted glass. Now, a team of astronomers, led by Radboud University PhD student Sara Issaoun, have finally been able to see through these clouds and to study what makes the black hole glow. Issaoun completed this work while participating in the Predoctoral Program at the Smithsonian Astrophysical Observatory in Cambridge, MA. 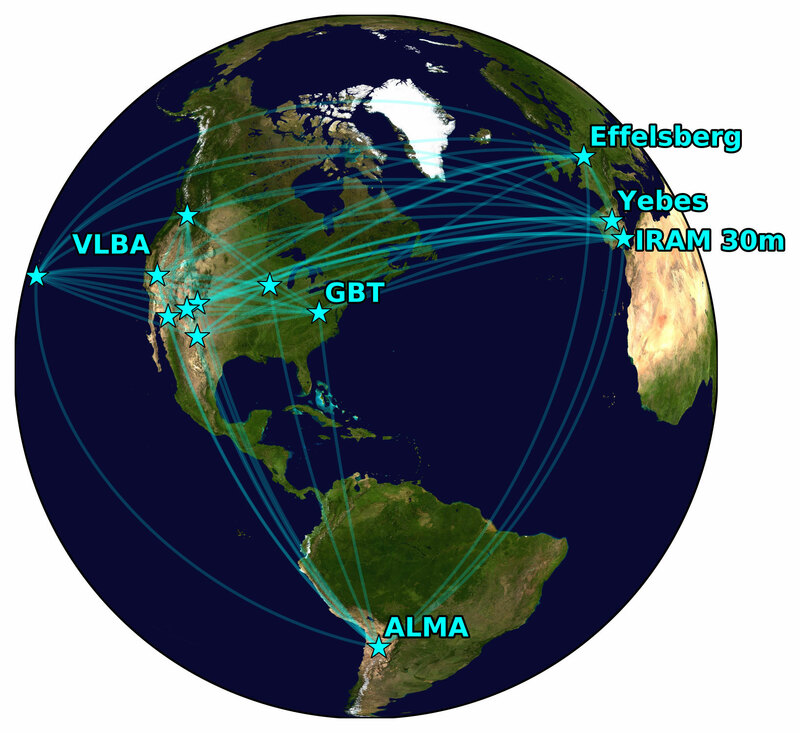 The team used the technique of Very Long Baseline Interferometry (VLBI), which combines many telescopes to form a virtual telescope the size of the Earth. The decisive advance was equipping the powerful ALMA array of telescopes in northern Chile with a new phasing system. This allowed it to join the GMVA, a global network of twelve other telescopes in North America and Europe. To learn more will require pushing these telescopes to even higher frequencies. “The first observations of Sgr A* at 86 GHz date from 26 years ago, with only a handful of telescopes. Over the years, the quality of the data has improved steadily as more telescopes join,” says J. Anton Zensus, director of the Max Planck Institute for Radio Astronomy. 2 Comments on "Breakthrough Allows Astronomers To See What Makes Sagittarius A* Glow"
I do not see any black hole there but only a light emitting Body. No Event horizon, no accretion disc. In the Picture it Looks perfectly like a very big star or gas cloud with stars inside. Let’s wait for the next Pictures at higher freq. Am I dyslexic? I thought that a higher frequency penetrates less into a scattering medium than low frequency energy…How does raising the frequency of a telescope array yield a reduction of the effects of scattering? It seems counter-intuitive to me…shouldn’t they have lowered the frequency as low as possible to maximize penetration of a scattering medium? It seems like they are accumulating more data with this approach, sure, but how are they defeating scattering? Not in an analog, reality-based manner, but a digital imaginary one? In other words, are we simply embedding ourselves deeper into dependency on computer models, using the same approach as 26 years ago, but just with more data and better computers? Are we even considering mitigating scattering in a mechanical way, or just planning to edit it out with sophisticated photoshop? To me, the transverse nature of electro-magnetic waves is challenged by scattering (Thanks, Dollard). Otherwise, it’s all just an effort to glom more and more data, as if this was some sort of agenda in itself (New World Order?). 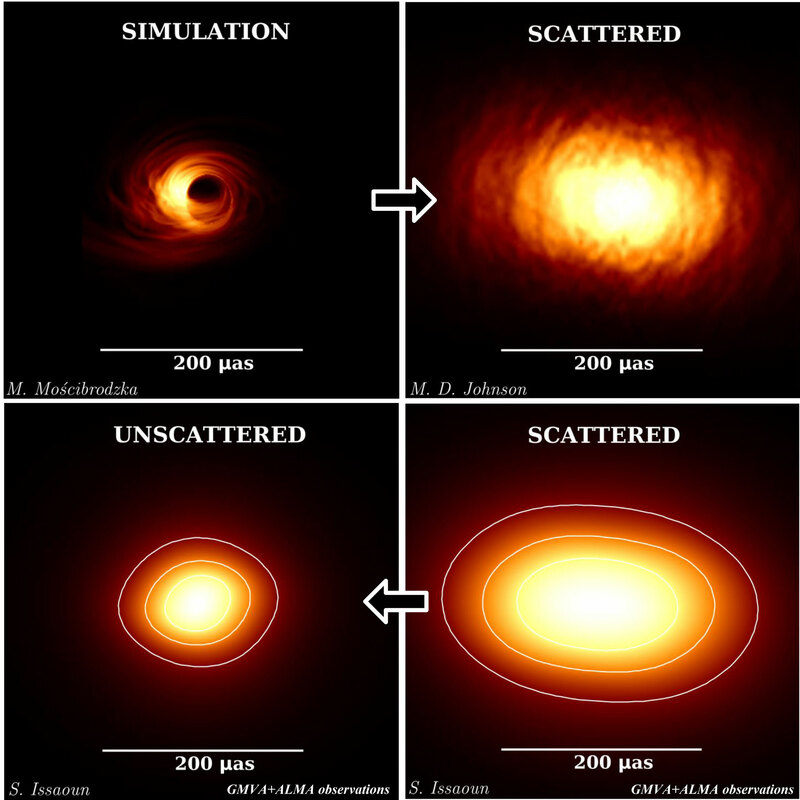 Mitigate the scattering effect by the generation of more scattering because it amounts to more data and all we need is more data to feed to our computers and they will tell us how it is. Do expect to solve all our problems in the future this way? Everyone start littering so the robots have something to do so we can advance our robots to the point where they can actually clean up the planet. The solution to trash is trash plus computers! Would be nice to hear back.